I need some help. We are still in need of a car that can fit all six of us. Obviously we thought we would have a bit more time to figure this out before Kembe came home from Haiti. We’ve been getting by with a very generous loaner minivan, but we need to find a permanent solution. The problem is, I am completely overwhelmed with the idea of choosing a car. I am not a car person. I don’t know about cars. I don’t care about cars. Our strategy thus far has always been to pay cash for older Hondas and drive them for a long, long time. The only feeling I really have about cars is a mild disdain for minivans. Have I mentioned that here? I can’t remember. Anyways, we now have some rather specific car needs, and I have no clue where to start. And despite all my protestations about minivans, I’m pretty open to anything at this point. Getting my kids in and out of the car has become the bane of my existence. I am willing to put my ego aside. Take one for the team, if you will. If you are a car person and have some ideas for me, I would love the feedback. If you aren’t a car person, what I’m about to say will probably be the most boring thing you will ever read. I’m not a car person so I’m already boring myself. 1. (And this is most important): I need a car that allows the kids to get in and out on their own, where I can access their carseat straps without crawling into the back myself. Of my four kids, only Jafta can independently strap himself in. So I don’t want a car that forces me to crawl into a third row to do the straps. Nor can I do a car that requires one of the first row seats to fold forward every time the kids get in and out. We still have toddler seats (not boosters) and an infant carseat, and I don’t want to take one in and out every time we enter the car. So I’m thinking we either need bucket rows in the first row, with an “aisle” to the backseat – which I guess means a minivan? Or not? Or maybe there is a car that has a bench seat for the first row, where I could put the three smaller carseats, and then has a row behind it that could partially fold down, allowing Jafta access from the back of the car? (I know the Honda Flex has this. I need a cheaper idea than that). The minivan we are driving now is great because I can seat India in the back row and still reach her straps, and there are two bucket seats with room on either side for Jafta and India to get in themselves. 2. I need trunk space. My stroller is ginormous. I also need to pack groceries next to the stroller so I don’t drop raw eggs on my foot when I open the trunk. 3. I need a car that’s been around for a while. We have a limited budget. (And by limited, I mean we have no budget. We need to try to sell one of our cars and then use that money, which won’t be much). I need an older-model car so that I can buy it used. 4. I actually do care about my environmental impact. Not sure how that works with a six-seater. Guessing I won’t be able to afford a hybrid. But is there a happy medium between the Prius and the Hummer? 5. I need something low-maintainance. We’ve always been partial to Hondas. I don’t wanna be in the shop all the time. 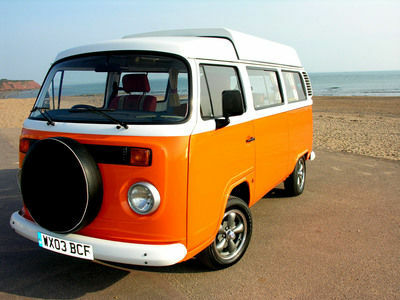 A retro vw can is my dream car – but I’m hearing they are not so reliable. Or affordable. 6. As I said, I am open to minivans. But, if there is another option, that would be cool. As I write this list, I get the sinking feeling that perhaps this car does not exist. If you have ideas for me, I would love to hear them. If you have a couple kids and a car you love, what is it and what do you love about it? Also, does anybody know Oprah? i'm looking for the same car, i will be checking back adamently to see the results. so far all i have found that would work ok is a honda pilot, but cargo is super limited with the backseat. sigh, i just dont want some crazy escalade esv, but they do have the buckets and are NOT a minivan. Honestly I think your best bet is a MINIVAN!! I know I didn't want one either. Since we got our Toyota Sienna I have sworn time and time again that I would buy it again even if I had NO KIDS. I am serious! It is amazing. Just check one out. Older version have to still be good. The newer are even better. Not having to crawl to the back of a car with three kids is a good bet but with four…I think impossible. 😀 In our minivan I have to buckle one child (when babysitting) and I just took the headrest off since the little one in the front doesn't need it and I step into the van (half in half out) and lean over to buckle. It's not terrible and you get used to it. The trunk space is amazing…and if you seat two side by side in the back one of the seats folds down so you have more room for groceries, etc. We are coming home with our boy in March. From Ethiopia. Okay, that is helpful.. Yes, Becca, that's what I do in the Windstar we are driving – I can step up a bit and reach, but I don't have to actually squeeze into the back. it workds. I love the option of folding down one seat in the back, too. Thanks! I don't know about other years, but my 2004 Honda Odyssey has almost all of those features…I was VERY against a minivan, but after #3 my husband convinced me it was the only way to go, and he was right. The 2nd row is 2 captain seats, which you can scoot together, to give passing space on the outside of the row to the backseat. You can also have them separate with the space in the middle…but that was a pain with a child passing to the back all of the time. Both doors are automatic sliders, which is awesome! I can operate them at the door, from the drivers seat or the key remote. I can put one knee in the van in the open space next to the 2nd row and easily reach to the outside seat of the 3rd row to buckle/unbuckle. Your oldest could be in the far seat, since he can do his own carseat. I will pray God provides in a miraculous way for you! Oh–and great trunk space. I can put my double jogger back there, and still have room for groceries, bikes, other paraphernalia. Happy shopping, I hate car shopping too. I'm having this very same issue myself. I only have 3 children, but would love to have more. I really don't want a minivan even though I know it's the most practical option. I'm torn between the Honda Odyssey (van) and the Volvo XC90 (SUV). Check out Hyundai. I have had two… 10 year… 100,000 mile… no problem. they have a few different options that you might like. Also a friend of mine is also against minivans and she just ought a honda odyssey. she loves it. Some suburbans have 2 captain seats and then 3rd a row of bench seats. I have a mini van I only have 2 kids. I was against it at first but love it. Automatic doors that open by remote, same w/ the hatch. Now that is bliss. Everyone can get in or start to get in instead of me opening all doors. Plus all the seats can be folded down into the floor too. So you choose what seats you want to use or not use for storage. I have the Chevy Traverse, 4 kids, 2 in car seats. I love love love this car. I put the two kids in car seats in the 3rd row. The 2 captain chairs in the middle row flip down soooo easily. I then can buckle up the kids without crawling in the car. You can even fit 3 kids back there. I love that Chevy has onstar so if you ever need directions, help or anything you just push a button. I feel so safe driving knowing I have this feature, especially with kids in the car. The trunk opens with a push of a button. The only thing you might not like is the trunk space isn't huge, bigger than a Honda Pilot (which I had before, love Honda's, but love this car so much more!) I am with you with the minivan, but that might be the best option and best value. If I had to pick a minivan, it would proable be a Honda. Good luck car shopping! I'll put a good word in for you with Oprah! i think your best bet is a minivan…odyssey to be exact. we fought it…but gave in after researching lots of cars. and we are so glad we did. we love it (for the features…) we have 4 little ones. you'll have to climb in back to buckle them, but it's very easy. and the trunk space is GREAT! I wish I could help you guys – I know nothing about cars either! BUT I did want to add some encouragement and tell you what a cool mom I think you are – what a great job it sounds like you are doing and how much I respect you guys! I drive a 2001 Suburban. In our experience, used minivans are basically junk waiting to happen, and Suburbans are cheaper to repair because their parts are simpler. Also, the minivans we looked at had about this much storage space: -. The gas milage was not nearly as bad as we thought it would be, I think we get 53/gallon going 60mph. Ours has two captains' seats in the second row and a bench in the third, which means we can fit in another adult or non-boostered child. We have one in a car seat, two in booster, and one in nothing. Three can buckle themselves, so I haven't tried reaching in back. If the second-eldest has troble, the eldest reaches over and does it for her (he's 8). i'm going to agree with the minivan comments. i never wanted one either. who actually grows up saying, "i hope I drive a minivan one day?" we only have 2 right now, but got a used honda mini b/c we planned on having more kids. we'd bought a used civic from a friend and after that decided we'd only buy hondas from now on. used ones. they have been the best cars we'd owned. just go ahead and give in. it'll be worth it! love reading about your sweet family and will be praying you find something soon!!! God provided ours and i know He'll provide for you as well!! -amazingly practical (we have the Toyota Sienna) with seat options that other commenters have already laid out. -good cargo space with grocery hooks for those bags with wild eggs running a muck. -better gas mileage than Suburban, etc. Also, I don't know about the features of the Mazda, but I know they are very reliable too! If you are still opposed to a mimivan maybe look at the mazda5. It seats 6 and has bucket seats. I drove one last year when my car was in the shop and liked it pretty well. You're there, my friend. You are going to buy a minivan. My husband fought them for years … until we got one. Now, he wants to replace our second car with a second minivan! They. are. the. bomb. Environmentally you ARE being conscious because YOU HAVE FOUR KIDS (this is something I had to realize). You are NOT going to be driving a minivan with you and two kids. We fill every single seat in ours. At least you will have room for a friend. We are our own little public transportation system and it does not go wasted. We have loved Nissan's for the same reason you love Honda's. We currently have a Nissan Quest and WE LOVE IT. Sliding side doors. Bucket seats. Lots of room in the back. ALL of the seats in the middle and third rows can fold flat for when you go to IKEA and need a small pick-up. It will run forever … cause it's a Nissan. We bought ours newly used about three years ago. LOVE IT. You can also slap a giant magnetic sign for your RV park on the side. SWEEEEEEEEEET! We have 93 VW Eurovan Weekender that we call the Enterprise that we bought for camping. Best part is that it seats 7. Worst part is that it's not so reliable. But, it was very affordable and gets 20+/mpg. We love it, but it's not for everyone – it's a van…and not just a minivan. A VAN. Speaking of strollers, I have heard you complain about them…are you sold on your double wide stroller? I only have two kids but both are stroller bound still. We have two strollers I highly recommend. 1. Graco Quattro, highly recommend as both kids can still recline to nap. Both kids have snack and cup holders. Large bottom compartment. Two adult cup holders and a cell phone, ipod, camera, etc compartment. Folds into self and takes up very little space. Fold squarish, not long. 2. We have the Joovy Caboose. This one folds flat but long. It has one seat that reclines (the front) and the back is for an older child they can sit or stand. Good for the walker who just needs to be contained and strapped in at times or needs a rest from walking. Someone has to explain minivan disdain to me. I had children so I could get one. Love it. 2005 Honda Odyssey. I never wanted a minivan until we got one. Loved it. It was a dodge grand caravan and our youngest daughter called it "Herbie" because it had some weird electrical issues. We then got a chrysler town and country that had no issues whatsoever and I loved it and would still be driving it if we hadn't needed something big enough to pull a camper. I now drive a ford expedition that we call "Big Momma" and it has the second row buckets and third row bench. There is not much cargo room though. Had more cargo room in the vans. Still love the seats in the van. You may rage against the minivan but I bet you'd like one if you got one. I am not a car person, but I do have a couple thoughts for you. I resisted a minivan until had a "surprise" baby and 2 teenagers still at home. We not only hauled our own, but their friend. We bought a Windstar and loved it. My friend made fun of me until she went from Ok to California in it. It was also safe. I was in an accident that totalled (sp?) both vans. My car seat never left the seat and the two kids in the other van had to be life flighted. Environmentally you are doing great by purchasing used. It takes about 5 years of driving a hybrid before you overcome the carbon footprint of manufacturing the car. I also want to encourage you as you struggle with 4 kids. Whatever your believe system-what you are doing for your children is far, far more important than a clean house, an organized life (which will come), or what someone might think because you have egg on your shoe. I am a mom, a grandma, an aunt and a teacher. In my opinion-you rock. I guess I will be tragically unhip for saying this, but I don't give a crap what I'm driving as long as it makes my life easier. My Honda Odyssey does this. My favorite feature is the "closet" in the floor. I make my kids stick there shoes in there, so we don't waste time looking for them and they can put them one while I drive. Have you heard of the Hyundai Entourage? It's a minivan that's been around for a few years, and even brand new–it's CHEAP (at least here in Canada), but spacious, and sounds like it would be what you need! I hate to write it (hehe) but I'm thinkin you're going to have to go with the minivan! It sounds like that will meet a majority of your needs! Just don't go with a hybrid… the "dust to dust" impact they make on the environment is quite high and based on some basic research I'v done it seems like it's not a better choice… and since it seems like you're going used that's probably the best "green" choice! I'm gong to jump on the suburban bandwagon. I love love love mine! It has tons of cargo space, it is easy in easy out, in my experience reliable. I had a mini van and very much prefer my suburban for a large family. The gas mileage isn't bad. I don't get 53 like the other poster..maybe 25, but still its about the same as a mini van. Being a larger vehicle my kids, now teens, fit much better than they would in the minivan we had. It can grow with you. We have a BOB stroller so I never bring that in the car and am looking for a Craig's List front/back. We have a wagon/SUV/minivan combo type car that is a 2005 Ford Freestyle (now lamely called a Taurus). I always bought Honda's too but didn't want a minivan. The freestyle has 3 first row seats and 2 back row that come down individually. So for 4 I can fit 3 in the front and then to avoid putting the seat down, I have the 4th climb through the back. I leave one seat up and the other down so it fits the long stroller. Then there is still room for some groceries behind the seat that is up. Hope this helps. By the way, my daugher could start strapping herself in at 3 1/2 so it probably won't be an issue for that much longer for you. And my friend with 8 kids teaches her older ones to strap the younger ones in. Even my 4 year old can strap my 2 year old in (as long as I check he work to make sure she did it right). 4 kids, one in a car seat, one in a booster and 2 able to do it themselves. Terrible, crappy winter weather, so permanent AWD a necessity. LOTS of big dogs so need lots of room to haul them too in addition to the kids. We bought a used 2004 GMC Yukon Denali in 2007 and LOVE, LOVE, LOVE it. Lots of room for kids with the 2nd row captain chairs and third row. Still lots of room in the trunk for dogs, etc. Good luck!! It's a toughie. a little piece of me dies every time we go looking for minivans. 🙂 Though I will go kicking and screaming, one is in our near future. I think it is the only way on a budget. it's crazy how much even used vans/suv's cost. Good luck with the search! Can't wait to see what you end up with. You sound just like us. E drives a nasty, almost die on you, white truck. He was hoping to keep our little Mazda Tribute and drive it when we get something bigger. Who knows? We need something, and we need something fast, those are not good combos when talking to dealers. Or so I think. i will have to go back and read all of them, because all six of your points is where we're at, too. only we have a bit more time, 6 more months. can jafta write, because chloe wrote a letter to ellen explaining that it's no fun riding to school in a car (VW) that dies during right turns, and soon won't fit our whole family. i can send you a copy, and you can just switch out the names. I've never commented on here, but have been reading for a while and am SO excited for you guys and all that God's been doing with Kembe and your family. We were pregnant at the same time too, so I have a daughter just a couple weeks younger than Karis. Anyway, all that to say, we're just about to buy a Ford Freestyle. They came out a few years ago, and they've been replaced with the Flex. They are four doored, but have second row bucket seats, and a third row bench seat. Just like a minivan, but it looks more like a station wagon, gets a little better gas mileage, and has a a few different features. I love it! Has the space we need, without me having to buy a minivan. Just don't buy a 2005 as many of them were recalled. The 2006's have had great reviews, and can be found at really reasonable prices (as in our tax return covers the full price of a 2006 with 60,000 miles on it). Good luck! honda odyssey. we have a 1995 and a 2003- fondly known as "grandpop" and the "batmobile". we're driving them into the ground! We have a Dodge Caravan with stow n go seats. When we just have 4 kids we kept one seat stowed allowing access to the back row much easier. We currently have 5 kids and I have to buckle 2 of them, 3 of them in carseats one in a booster. We have 2 carseats and a booster in the back row ( had to get two Sunshine Kids Radian seats to be able to fit 3 across) and then a forward facing seat in one of the bucket seats and my older son sits in the other seat. Since my older son is in school all day I keep his seat folded down (not stowed) and can easily reach my 4 yr old's carseat in the back row. M The trunk was big enough for us to take enough stuff to Florida for a family of 5 including our double stroller, single stroller, baby gate, and pack n play along with our suitcases. We packed some stuff in the stow n Go compartments in the floor. Ours is a 2005 with 50,000 miles and still running great. No big problems with it in the 5 years we have had it. Oh and all of my kids but the 1 year old is able to get in and out of the van by themselves. My husband drives a Dodge Durango and it will fit all of us but the kids can't all get in by themselves. It also doesn't have much of a trunk. I have heard great things safety wise about the Kia Sedona http://www.kia.com/#/sedona/explore/360/ It is also suppose to be more affordable than other vans. When the gas prices started sky rocketing a few years back, my husband talked me into selling our Tahoe and getting a '99 Odyssey. We bought it from a grandma who drove it very gently with about 60,000+ miles. We paid cash. We've traveled a lot in it and it's so nice not climbing over seats on 7 hour road trips. I can separate my boys. No one's touching. Huge! Deep, big trunk. I once had a massive double stroller that fit great. Auto doors make getting in and out easier. Let's just say, it was one of the best purchases we've ever made. It's still ticking with 211,000 miles. We've had the normal replacements done on it b/c of it's age, but it's a Honda. Nuff said. Hope you find something you like. Just remember you won't be driving it forever and it's well worth it to have peace on the road. Okay I have a Toyota Sienna and love it! I have 3 small ones in car seats. I highly suggest that when you find the vehicle you think you want go through the trouble of getting your carseats out and putting them in where you think they should go and load your family by yourself (this will be your life, so make sure it's right before making the purchase) not all carseats fit the same in each van/suv/crossover etc. I spend lots of time loading and unloading, and am working on teaching my 2.5 year old boy to buckle himself…his sister can already get him out when needed, that's a huge help! i also think that finding the vehicle with everything we want in the exact right spot is like trying to find the absolutely perfect diaper bag or stroller! Okay, I didn't read the comments, but here we go: I have the Hyundai Entourage, and I LOVE IT. Even though I only have one kid. We bought it because with camping equipment and a large dog, we needed the excellent cargo space. What I love about it vs. the Honda minivan? $10,000 cheaper. Better gas mileage. Higher ground clearance. But best of all? It drives like a car. Really. It handles exactly like a car, and does not need a period of "training" to learn to deal with it. I think you'd love it. Ok, here's my skinny on this – I don't love a minivan either, but it was a must. I tried the crossover with 3rd row seating and it worked until it came to cargo area, um not so much. Now I have a Toyota Sienna and like you 4 in carseats where only 1 kid is independant and can buckle herself. Not all minivans are created equal. This is something I have learned over the last week with a rental. You really really want your center row seats to move forward and back. This makes it so much easier when it comes to latching the buckles on whoever sits in the 3rd row. I keep the middle seats forward and even though I am short can reach right back and get them safely buckled. They also like to crawl back that way through their "special cozy hole". Nissan doesn't have this feature, Dodge doesn't and I don't think Chrysler does, but I am not sure – I am almost positive Honda does and the Toyota definately does. I get about 22 to the gallon on average (better than my crossover). Oh, the other bonus is recessed storage, I have 2 doubles and a single umbrella stroller in the back of my van now with room for groceries. Definitely a Honda Odyssey — flexible seat configurations, safety, reliability and space for your mondo stroller, in addition to groceries. Although you're not necessarily interested in doing a bunch of research — two sites that might be helpful…www.edmunds.com and http://www.autotrader.com ~Love your blog and your advocacy for the children of Haiti! All my best to you, your family and congrats on Kembe's homecoming. Minivans ROCK! Nobody wants one until they have to have one and then they never want to let them go. I will probably drive one even after all 4 kids are on their own. I just feel too crowded in a car on long trips. We have had 4, all used. the Mazda MPV was great when they were really little. It had a bench in the middle and the seat folded to allow access to the back. It could seat 8. It was small for a van, and the side door opened like a car door. like you need ONE more comment promoting the minivan but I gotta throw my 2 cents in and say as a parent of 4 it's just the most convenient vehicle you can get. with 4 kids it's ALL about convenience. just make sure you get a version with the snazzy auto-slide doors. very helpful when someday the kids are old enough to be dropped off…you just whip up to the curb, no getting out to help with door…no smashed fingers either. plus minivans should be better on gas mileage than the larger suv's. get one. you couldn't possibly regret it. We have the Honda Odyssey and although I am not a fan of minivans it is great. Oldest can get in and out by himself and the storage is great. Had the element (LOVED IT!) and also the Yukon Denali (my dream car) but that was not a city car. The odyssey does not have as much maneuverability as the element but it does have the room. VW Vanagon or Eurovan all the way. Then ya'll can go camping and the kids will love the poptop as they get older. There are tons of them out here in Southern California. We love ours and we only have a dog and a 10 month old. You can get passenger styles ones with two rows of seats or ones with buckets and a bench. and it's a VAN, most decidedly not a minivan. However, the fact that my husband does most of the work on ours helps… but they are pretty fun and all purpose. Good luck in your search! I talked to my hubby who used to sell cars. If you are against minivans he said the GMC Acadia or Buick Enclave can all can hold 4 kids and seats. Plus you will have truck space. I'm sorry if this is redundant, but I didn't have time to read all the preceding comments. We are a loyal Honda family, too – now driving our sixth Honda in a row! We have five kids and two adults in the family, and often an extra friend riding to or from somewhere with us. My husband drives a Suburban, which has tons of space but is really bad on gas. I have previously had two Honda Odysseys which I love, love, loved. I really believe this would be a wonderful option for you. Ours had captain's chairs in the center row and a bench in the third row (seats 7), plenty of cargo space – I used to carry a double stroller and a single at the same time, and could still pile groceries on top. I now have a Honda Pilot, which seats 8 but using the third row requires the middle row to be popped forward, which is proving to be a huge pain. It also has very little cargo space, which will fit a dbl stroller up on edge but no other stuff. Also, one thing I don't like is that the kids in the third row can easily reach the stuff in the cargo area and mess with it – I can't stand this. This is not the case with an Odyssey. The leg room in an Odyssey is great compared with the Pilot, too. They both seem about the same with gas mileage. I think the Odyssey is slightly more expensive used than a Pilot, but I really think you'd be much happier with the Odyssey while you still have carseats and kids who need help buckling. Also, the Odyssey has remote sliding side doors which is awesome. No one opens the doors for me on my Pilot 😉 Hope my two cents helped. so apparently you have already heard that you need an odyssey, but just incase you need some help letting it sink in…. get the odyssey! I have three kiddos 5, almost 3 and 5 months. Our current arrangement is having the two big kids in the "back back" as they call it and the baby in one of the captains in the middle. My oldest knows how to unstrap my 2 year old so that helps, he unbuckles himself and her during carpool. He can buckle himself but not her, so I lean over the captain seat to buckle her. We were very anti van ,but now I can't imagine not having it! I got over the minivan stigma and got one…Honda Odyssey. Bottom line…press of a button to open AND close doors, storage galore, easy on the gas mileage, reliable, SAFE, drives like a car….kids love it and I am not breaking my back getting kids strapped into a third row that is essentially inaccessible. And finally, your car does not define you. And if it does, being a minivan owner makes you SMART. We have 4 kids, and I drive a Suburban. Seating: I have captain's chairs in the middle, so no climbing over the seat to get to the back. Your third carseat would have to be in the back, but it's not very hard to lean over the second row seat to buckle up – I don't crawl into the back-back 🙂 Also, my older kids know how to help buckle the younger kids. Storage: We've taken lots of road trips with plenty of luggage and gear and sometimes with the dogs sharing a kennel in the back and have always had plenty of space. You could easily fit your stroller and groceries in the back. Reliability: Ours is a 2001 with 150,000+ miles and we've had to have no major repairs. I'm fairly confident that it will age-out far before it wears-out! But, but – how will you effectively rage against the minivan if you cave to the minivan!? 😛 I kid, I kid! I've heard great stuff about Siennas and Odysseys! We're a family of four, but a toddler and a teenager, so we need more space. We're looking into the Ford Flex, Dodge Journey, Kia Sorento and the Chevy Traverse. The minivan is an efficient for moving families and their stuff around. Our youngest is now in college so moving stuff is important. When everyone is home we still need it for people. It's also great for full sheets of plywood and equipment of all sorts. We are on our fifth. For a while we had two at a time. Only a full size van would give people more space and it would take a full size long bed pickup to carry full sheets of plywood flat. Sliding doors are great. Much easier to avoid door dings with sliders. Electric sliders are not necessary but come with the territory now. Back up camera and navigation in the current one as well as electric fold in the floor third row seats. Fold flat seats really beat the old ones where I had to wrestle out a 3-person rear seat and 2-person middle seat. I think that if you think the conditions are bad enough to need all wheel drive in a minivan you really shouldn't be hauling a bunch of kids around. All wheel drive would also reduce mpg and reliability, and add weight and cost. Our current van is a Routan that is rated 25mpg on the highway and regularly meets that but does not do as well around town as most of those trips are really short. For the environment one of our other cars is a hybrid and also useful for the car pool lanes when you can't fill the other seats. An earlier van that we had was a pure electric, but it was only available for three years under a lease. The manufacturers call them captains chairs; but with kids, having the "middle seats that don't touch" is important. What on earth is a "Honda Flex" as stated in the original post??? Mom of one infant drives a 2012 Ford Expedition Eddie Bauer Edition, husband loves it says it's just like his real truck. It actually is a real truck as it is built on the half ton F150 frame. Captains chairs second row, third row can be left up or down, we gate our cargo area and strap our large jogging stroller and 2 dogs (pitbull – 65lbs, doberman – 100lbs) in the back. It's a huge truck, great for a large family! In the 1980's I bought a Chrysler and it was so bad I swore I'd never get another. Nine years ago, needing a car with a lot of storage capacity, I bit my lip and leased a Chrysler Town & Country. Tomorrow, I will be leasing my fourth Town & Country – the last three have been the best cars I have ever had. Nine years, without a single problem. I will not even consider a Honda or Toyota minivan as their second row seats must be removed from the vehicle in order to utilize the full cargo area. At about 60 lbs. each, removing them is no joke – and where you gonna store them when they're out of the car? The main reason to buy a minivan is the space they afford. Chrysler's Sto n Go seats makes using the available space quick and easy. I can fit a 4'x8' sheet of plywood in its cavernous storage area – no problem. Lifting the seats out of the floor takes about 30 seconds each and practically no effort on my part. Don't let your ego keep you from buying a minivan. They make sense, and I would never be without one again. I always thought I would switch back to Honda when they offered a version of Sto N Go seats, but after nine years of trouble-free driving, I think I'll stick with Chysler.